This page allows you to search, by authors' last names, with optional data content and keyword constraints, for literature references or for thesis abstracts. The page has two sections -- a Quick Search without Keywords section, and a Search with Data Content and/or Topical Keywords section. The first initiates NED's traditional reference search, returning all of NED's references for a particular object. The second uses keywords to narrow your search. In general, the keyword search takes longer than the traditional search; but because it returns a shorter, targeted list, it can save time in finding the reference(s) you want. In the "Enter author name" box in the first section of the page, type the last name of the person for whose theses or literature references you wish to search. You may use either capital or lower case letters, though you must type the complete name. If the name includes more than one word (e.g. "van den Bergh"), you may enter the entire name in single or double quotation marks, or you may enter just the unique word in the name (e.g. "Bergh" in this example). Logical operators "AND" and "OR" are also available to find papers with multiple authors (e.g. "Freedman AND Madore" or "Freedman AND Madore AND Mould"). If the author names are separated by spaces (or any other character), the search assumes a logical "OR" (e.g. "Freedman Madore" is treated as "Freedman OR Madore", as is "Freedman & Madore", "Freedman ; Madore", or "Freedman W Madore"). Alternate spellings for author names are possible, especially where a name is transliterated into English from another language. For example, "Markarian" is sometimes spelled "Markaryan". If you suspect that the name you are searching for has an alternate spelling, please do another search for the alternate. While NED has tried to be consistent in its spelling of transliterated names, literature references from other sources may use the alternate spelling. Choose either "Papers" or "Thesis" to retrieve the appropriate references. The author's name need not be the first one in the author list, and the search returns all references with that name regardless of its position in the author list. However, due to database limitations, only the first 160 ASCII characters of the author list and article title can be searched for during a reference search. Long author lists and long titles are not completely displayed, and author searches will not return papers when the name is not included in the first 160 characters of the author list. Note however, that NED's abstracts include the full title and author list. Clicking on the reference codes in the list of search results will show the complete titles and author lists. Click on "Search References (No Keywords)" to initiate the author name search. You may narrow your literature search by combining an object name or author's name with Data Content and/or Topical Keywords. NED has adopted keywords from ARIBIB. Enter the author name as outlined above, but in the second section of the Reference Search page. Then, click the "Yes" radio button to "Filter on NED Data Content Keywords" and chose the keywords you wish to use (all are set by default; click "Clear Data Content Filters" to unset them so that you can more easily choose just one or two). Click the "Yes" radio button to "Filter on General Literature Keywords" and choose from those shown in the selection boxes. Keywords are grouped in the selection boxes by topic. You may choose as many keywords as you wish; most browsers use the "Shift" key in conjunction with the left mouse button for selecting multiple entries in a form. You may also clear all the selected keywords by clicking the "Clear Topical Keywords" button. Note that the only output format available with keyword searches is "HTML preformatted text". Finally, click one of the "Search References (With Keywords)" buttons to initiate your search. When a search has completed successfully, the interface opens a new window with the list of references or theses which include the author's name. The references are ordered chronologically with the most recent first. Clicking on the highlighted reference code will open a new window with the full title, author list, and -- for papers after 1988 -- the abstract. Searches by relatively common last names will return papers and theses by more than one author. For example, searching for "Smith" currently returns seven theses by seven different astronomers named Smith. It is not yet possible to constrain searches by first name, or by initials. You may also find that more than one thesis is listed for some authors; in general, one is a master's thesis, the other is a doctoral dissertation. Go to the Reference Search by Author Name Input Page. Go to the Reference Search by Object Name Input Page. This page allows you to search NED's directory of the extragalactic literature by object name, with optional data content and keyword constraints. In the first section of the page, type the name of the object you wish to search for in the "Enter object name:" box. The NED interface allows substantial freedom in formats and conventions for names, so type the name in any format you wish. When you submit your search, NED's name interpreter will attempt to translate your input into a name that NED recognizes. "Related Object Name Search?" (default is "No"). If "Yes", your search will return a list of references to all objects beginning with a name that is on the object with the name you entered. For example, "NGC 4321" will return references for not only "NGC 4321" itself, but also for "NGC 4321:[IPA98] H02", "NGC 4321:SN 1901B", and so on for all objects beginning with "NGC 4321". NED Standard Names has more details on these extensions. If you wish to restrict your search to a specific range of years, or to a single year, type in the beginning and ending years of your search in the "Begin Year" and "End Year" fields. Type the same year in both fields if you wish to search the literature for only a single year. NED currently stores nearly all extragalactic references from 1983 to the present, but has abstracts for articles in the major journals only from 1989 to the present. References and abstracts before these dates are being entered as time permits. an XML table in VOTable format. Click on "Search References (No Keywords)" to initiate your search. Enter the object name as outlined above, but in the second section of the Reference Search page. Then, click the "Yes" radio button to "Filter on NED Data Content Keywords" and chose the keywords you wish to use (all are set by default; click "Clear Data Content Filters" to unset them so that you can more easily choose just one or two). When a search has completed successfully, the interface opens a new window with a list of references for the object. Click on the highlighted reference code for the full NED reference for a given paper. Papers published later than 1988 also have full abstracts in NED. For earlier papers, NED has only the titles and authors of the papers, so we have provided a link to the Astrophysics Data System Abstract Service which has the full abstract for most astronomical papers in the major journals. 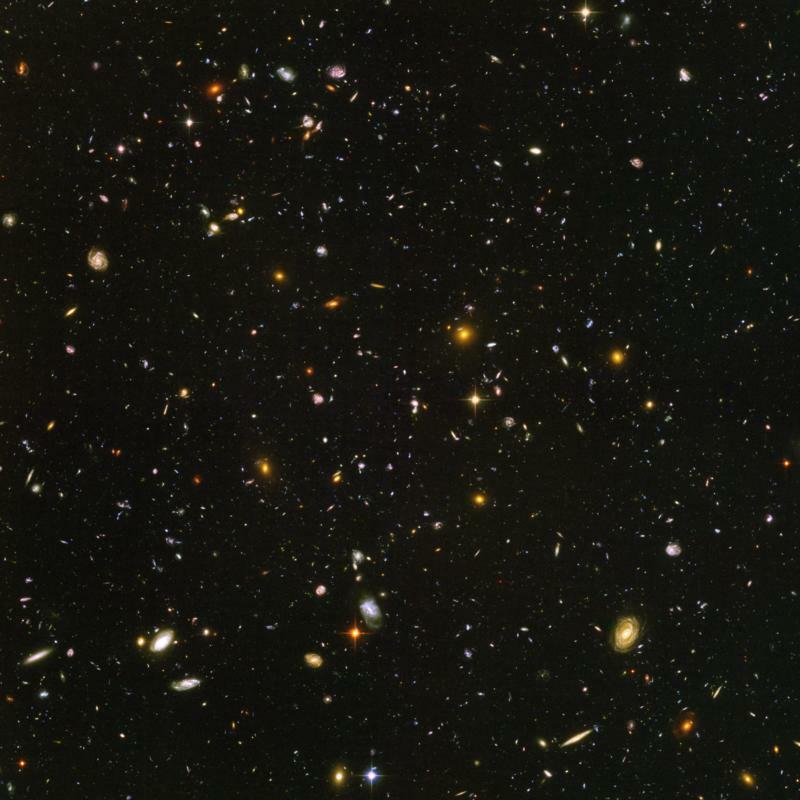 In addition to NED's various literature searches, NED users have access to the LEVEL 5 Knowledgebase for Extragalactic Astronomy and Cosmology, a hyperlinked WEB site of original documents and reviews and/or electronic links to articles of current and lasting interest to cosmologists, particle physicists, and extragalactic astronomers. Go to NED's Master List of Galaxy Distances. This page allows you to retrieve abstracts of papers or IAU circulars by specifying the associated bibliographic reference. NED attempts to store all abstracts of interest to extragalactic astronomy published since 1988 (and many before), even if they do not contribute new data on individual objects. The interface will help you to locate the abstract even if you do not know the exact reference, by indicating the acceptable combinations of years and volume numbers for each journal. It also allows you to browse through all abstracts from a given volume. Specify the year which you wish to search. If you know it, select a volume number within the year you selected. If not, you may leave the box blank (NED will return the correct volume range for your year of choice), you may click the link shown next to the volume number entry box, or you may click here for a list of appropriate volume numbers (a "-1" in this list means that NED does not have papers from this journal for this year). Within the volume, select a page. If you choose "0" or another number which does not correspond to any of the references in that volume, NED will display a list of all articles within the selected volume. If you want to include "Letters" and articles in the "Pink Pages" in your search, click the "Yes" button. Once a journal has been selected, the interface checks year and volume number to verify that they are compatible. If they are not, the correct volume numbers are displayed. Use the "Reset" button to return all the input fields to their default values. Click on "Submit Query" to initiate the abstract search. When the search is successful, NED will display the appropriate list of papers with reference codes and the first few letters of the author and title fields. If you asked for a specific abstract, only that paper will be listed. Select the abstract you wish to see; it will be displayed in a new window. If NED has no abstracts stored for the particular year or volume number you selected, it will return a message to that effect. This does not mean that NED does not have data from a paper in that year or volume since NED's abstracts are loaded separately from the data. If NED does not have the particular abstract you wish to see, try the NASA Astrophysics Data System Abstract Service. Go to the Abstract Search Input Page. This page allows you to retrieve abstracts of dissertation theses by specifying a range of years. Having retrieved a list of theses, you may browse through the thesis abstracts. To search for an abstract, simply type in a range of years, then click on "Submit". To search for a single year, type the same year in both "Begin Year:" and "End year:" fields. When the search is successful, a page with a list of dissertations will appear. You may browse through the list and click on any title of interest to you. The thesis abstract will be displayed in a new window. NED tries to store as many thesis abstracts of interest to extragalactic astronomy as can be obtained. If you know of theses that are not represented in NED, please send us copies of their abstracts for inclusion. Some of the thesis abstracts in NED are displayed courtesy of ProQuest (formerly UMI/University Microfilms, Inc.). You may order complete copies of most of the theses directly from ProQuest/UMI. Go to the Thesis Search Input Page. This page allows you to search for words -- single or in Boolean combinations -- that occur in NED's abstracts or in the LEVEL 5 Extragalactic Knowledgebase. Enter the word you wish to search for in the box. Searches are not case-sensitive; e.g. "AGN" and "agn" will give identical results. Boolean searches using "and", "or", and "not" are also allowed. You may search NED's abstracts, or LEVEL 5, or both. Click on "Find" to initiate the search. When a search has completed successfully, the window clears. A few seconds later, a new page opens with a summary of the search results showing the number of NED abstracts and/or LEVEL 5 files in which your word(s) occurs. Links to the first ten abstracts/files are shown, along with the first one or two lines from each abstract/file. There is also a link for accessing the next ten abstracts/files returned by the search. Finally, the search box appears at the bottom of the results page so that you may do a new text search if you wish. The text search uses an index of all the words that occur in NED's abstracts and in LEVEL 5 (common words, e.g. "and", "the", "but", are not indexed). This means that a text search on an author's name will often return more abstracts than an author name search (which searches only the author list, not the text of the abstract itself). Go to the Text Search Page.